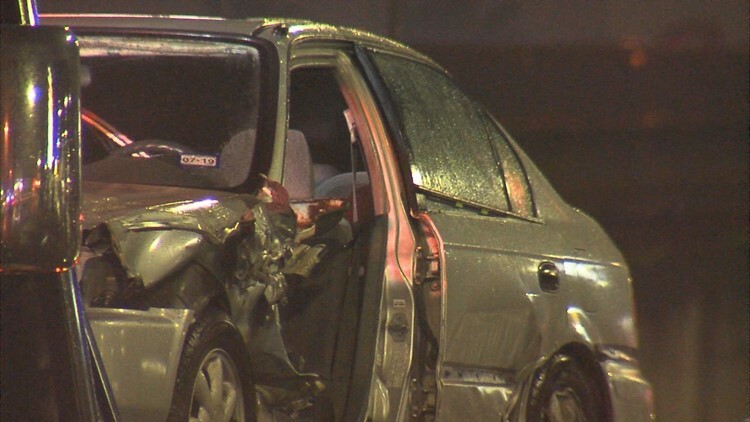 The accident happened about 4:30 a.m. Sunday morning on the eastbound side of the freeway. CORPUS CHRISTI, Texas — Corpus Christi police responded to a reported fatal pedestrian accident on S.P.I.D. Sunday morning. Officers say three men were pushing their stalled Honda Civic about 4:30 a.m. on the access road of S.P.I.D. east bound. One of the men who was pushing the car from the driver's side door was struck and killed by a vehicle exiting the off-ramp of Hwy. 358 near Best Buy. According to police, the men were from out of town and attempted to call for roadside assistance before the accident. Police say the driver who struck the unidentified man is not facing any citations at this time as he stopped following the accident. The other two men are said to be okay. Police say they are continuing to investigate. As more details emerge, stay tuned with 3 News.